The July 2018 All Saints’ Cathedral mission started on high note with more than 200 people giving and renewing their lives to Christ Jesus. This happened in the three main services – 7:30am, 9:30am and 11:30am – on Sunday July 15. Mr. Stephen Lungu, the Chief Missioner, called upon Christians to repent and turn to God. He said when you receive salvation through Jesus Christ, you get a lifetime package of forgiveness, peace, joy and eternal life. Giving his own example of being a notorious gang leader at an early age, Mr. Lungu received salvation in a miraculous way when he had organized an attack on a Christian camp in Zimbabwe. “My mother was married off to a much older man by her parents at a very younger age. We lived in a black township near Salisbury, Zimbabwe. At three, my mother ran way, leaving me and my younger brother and sister in the reluctant care of an aunt. By eleven I, too, had to run away preferring life on the streets,” Lungu said. To survive, he slept under bridges and scavenged foods from white folks’ dustbins. It was from there that he was recruited into an urban gang called the “Black Shadows” which ran a programme of theft and thuggery with a half-focused dream of revolution. The person who used to carry AK-47, bombs, marijuana, sleep under bridges, eat leftovers from litterbins; now, evangelist Lungu boasts of being a donkey that carries Jesus. He added that there are three greatest “Make” in the Bible: God Making us in his image (Gen 1:26); Jesus telling those he had called that He would Make them fishers of men (Matthew 4:19) and the great commission in Matthew 28:19 to go and Make disciples of all nations. “This is our greatest responsibility as believers. We have to consistently be busy with the project of making disciples” he said. Stephen added that since God is assuring us that He is making everything new (Rev. 21:5), we (Christians) ought to trust God because he has the power to pick anybody from nothingness to glory. 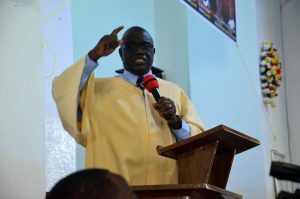 Stephen challenged the congregation to forget whatever did not go well the past and renew their faith in God because He is making everything new. 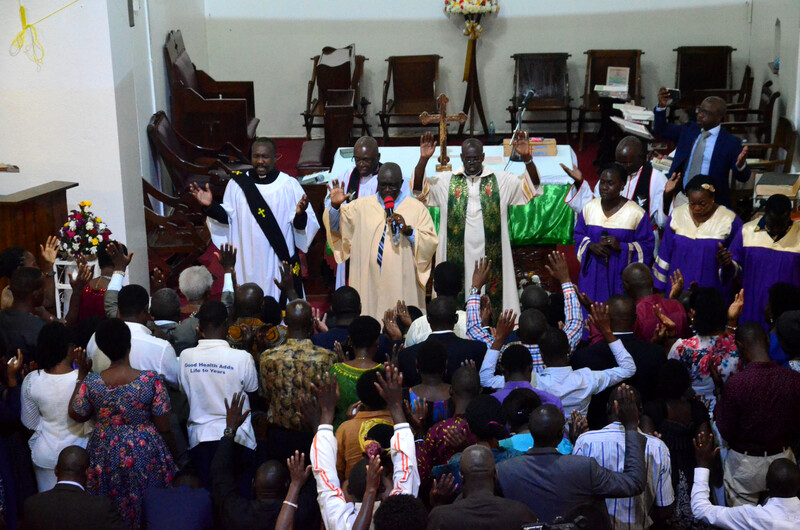 The July Mission is an annual All Saints’ Cathedral event that aims at doing outreaches to the community with in the city of Kampala.